It's really hard to imagine how do you improve upon something that's already so perfectly built, but it seems that at Honda the philosophy of making a motorcycle takes the other route. 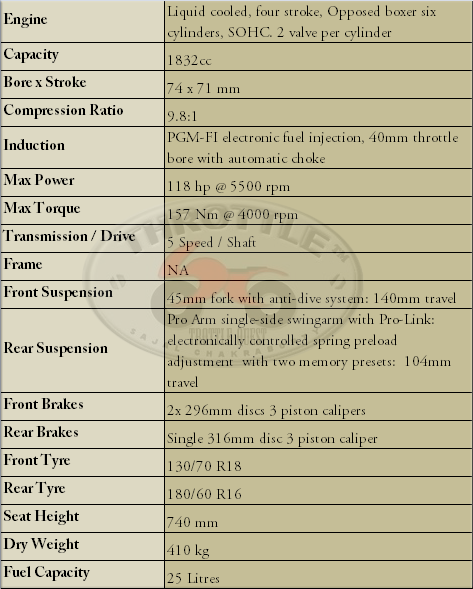 Nothing much has changed in the spec sheet except for the fact that for the year 2012, the Honda Gold Wing has gained a curb weight of 9kg. 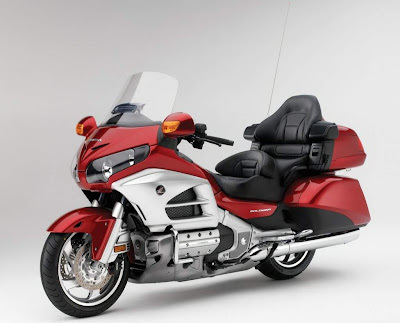 For a 1832cc motor, no doubt that Honda Gold Wing bangs out some ponies short, but features like that of a super luxurious four wheeler, one is least bothered about the peak power delivery, all you need is enough power to caress your senses for a sublime ride. 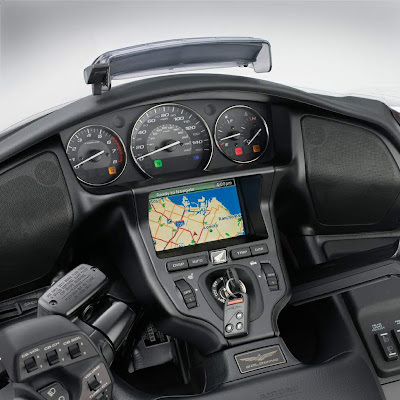 For more details visit the official 2012 Honda Gold Wing website. Honda Goldwing is the Ultimate Touring Bike. I discovered this bike a week ago.I was astonished when first saw its dash. GPS,clock,speakers,so many buttons, big body, etc. MIND BLOWING. One can tour the full Golden Quadrilateral on this bike without any difficulty. I salute Honda for this. Absolutely man!! This is as good as a luxury car with the added fun of being close to nature!! Really the best in class. They should provide one more speaker on Indian variant. Which feature this bike doesnt have, which is mandatory on Touring Bike. Just want to see it with my naked eyes. Also it will cost a missile on pocket to have it. Is there any lucky draw with this bike as first prize ??? ..at 400 Plus Kgs it will need at least 3 well built guys to lift it up..! !